Federal investigators are looking into a close call between a drone and a Delta plane on approach to Logan International Airport. A Delta flight encountered an "unmanned aircraft" near Boston Logan International Airport on Wednesday morning, according to the FAA. The incident occurred 15 miles northeast of Logan around 11:15 a.m.
Delta flight 5521 landed safely at Logan Airport, the FAA said. The incident remains under investigation. A Delta flight encountered a drone near Boston Logan International Airport on Wednesday morning, according to the Federal Aviation Administration. The incident occurred 15 miles northeast of Logan around 11:15 a.m. The aircraft was at 3,000 feet, Massachusetts State Police said. The drone estimated to be approximately 300 feet lower. State police said the drone appeared to be being flown over a boat. There was no contact between the plane and the drone. 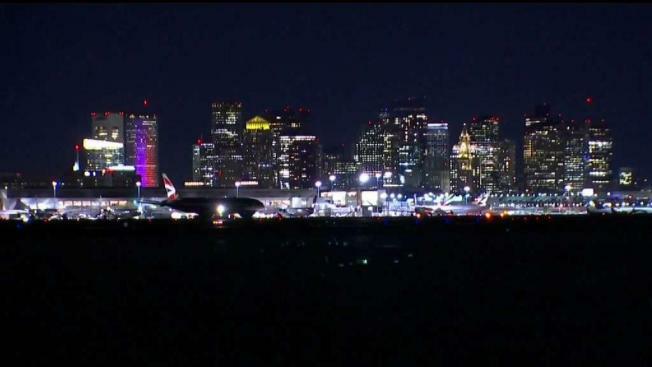 Delta flight 5521 landed safely at Logan Airport, the FAA said. "Like two miles behind us, we probably were over the top of it by maybe 300 feet," the pilot said on a call to the tower. The tower asked if the pilot saw any boats in the area, where someone may have been operating the drone. "In fact I did," the pilot answered. "There was a boat basically directly below it." The flight had taken off from Philadelphia International Airport. No further information on the unmanned aircraft was released. The FAA said it will investigate the incident, and also notified state police.